I am always excited to see the pre fall collections. Today I will share with you a glimpse of Swedish taste. 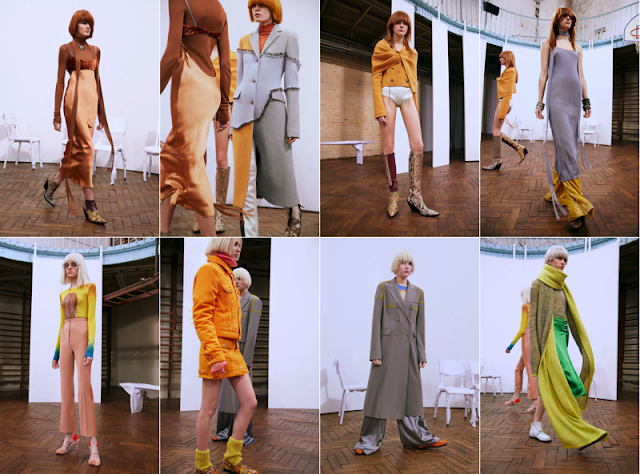 Acne Studios Pre Fall collection is focusing on the art of layering heavy winter fabrics like knits with silks shirts, satin slips and pyjama style pants. Its definately a trend I will introduce right away. It is very bright and compound. I give my thumbs up. I am quite impressed.